THIS UNUSUALLY large studio at East 9 at Pickwick Plaza is now available for lease. Designed to provide the most contemporary living experience around, this home comes loaded with modern features, such as stylish finishes, matching appliances, and large cabinets. 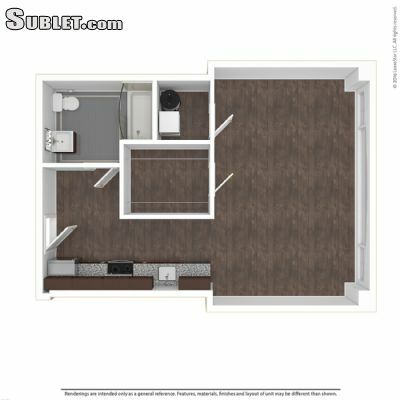 A spacious closet is available to assist with storage, while the private balcony will help extend the homes living space while providing a delightful view. One of Kansas Citys premiere apartment communities, the amenities here are second-to-none. Rest at home with in-home grocery delivery, hang out in the tasting room, or get fit in the state-of-the-art fitness center . . . All of this is available to you. You can access free Wi-Fi in the common areas, too. Call or send an email today to learn more. Floor Plan Specials No Rent until 2017 & Free Parking for all qualified applicants during the month of NOVEMBER!Floor Plan/Unit Amenities: * Stainless steel appliances * Dishwasher * Downtown Views * Refrigerator * Granite Countertops * Ceiling Fans * Range * Disposal Property Amenities: * Business Center * Housekeeping * On-Site Maintenance * Fitness Center * Concierge * TV Lounge * Rec Room * Furnished Homes Available * Clubhouse * Pool * Short-Term Leases Available * Package Receiving * Covered Parking * Central Air Conditioning * Spa * Conference/Meeting room * High Speed Internet Available * On-Site Laundry * Controlled Access * Sauna * Night Patrol * Elevators Lease Terms:1, 3, 6, 12 months (Fee 1=$100 / 3=$75 / 6=$50) Visit Our Website.